You can earn up to 20 points of extra credit per semester. These extra credit points will be added onto your lowest project and assignment scores over the course of the semester. However, extra credit points will NOT be used to replace an assignment you did not complete. These points will not be added to any missing or zero count assignment at the close of the semester. ​Every day there will be a new word of the day posted on our board. 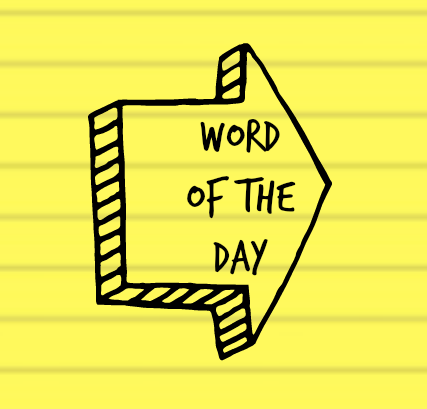 Use the word of the day in a sentence, find it in song lyrics, find it in a book, and you'll earn a point of extra credit. Write down the sentence where you found or used the word of the day and bring it for the next class period to earn a point of extra credit. Want a review of our weekly word roots? Find them on our Ward's Weekly Wordplay sheets HERE. 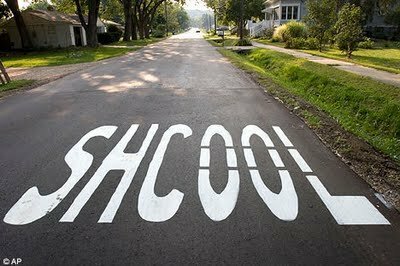 It is surprising just how many grammar mistakes we pass by every day. Signs that are missing their apostrophes. Newspaper articles with obvious misspellings. Advertisements littered with dangling modifiers and prepositions left to fend for themselves at the end of sentences. So why not point out these mistakes and get some extra credit in the process! ​See a sign with a grammar mistake? Find a grammar mistake in a book you are reading? Take a picture and either show Ms. Ward in class or email it to her along with an explanation of the mistake. We're looking for published or local examples, not pictures that you pull off of a Google search or from social media websites.